Over 14 million Facebook users around the world had their default sharing setting set to public for every new post the social media company revealed. On the bright side, the posts users made during May of this year had a way larger audience than anyone realized. The social media giant said Thursday that it recently revealed a software bug, which left users' accounts that were set to private changed to the public for several days in May. Generally, the Facebook audience selector tool remembers which audience you shared to last time such as friends, public, friends except…, and only me, then uses that setting when sharing the post again. Facebook was working on a new mode to feature photos on your profile and share them but while doing this they ran into a problem. Featured posts are always meant to be for the public but someone at the company accidentally made the suggested audience public for all not posts, not just the featured ones. The bug was live for all Facebook posts between May 18 and May 27 and during that time 14 million people made new posts on the social networking site thinking they were sharing their post with just friends but in reality, the posts were made public. Erin Egan, Facebook's Chief Privacy Officer said that the issue has been resolved and starting today they are asking anyone affected to review their posts. Usually, when bugs occur on Facebook they don't make it far enough to have an impact but this time the impact was tangible. When Facebook learned of the bug, the company immediately changed the audience of the influenced posts from public to the setting the user had previously chosen. The bug was discovered May 22 but not all posts were changed back until May 27. If you were affected by the bug you will see a notification when you log into your Facebook account notifying you of the bug. 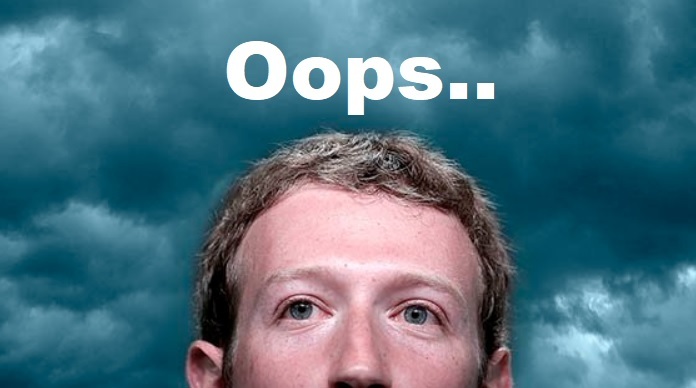 This latest breach of privacy was just one of many, some serious enough to land Facebook's CEO Mark Zuckerberg before Congress earlier this year. wow facebook, you keep doing this.. The dude perjured himself. Where's the jail time. I still thinks he's the back door to the cia or one of the other alphabet soup agencies.